Imagine having the ability to turn just about anything into a computer keyboard. You could make a custom controller that’s laid out perfectly for your favorite video game. Or, you could build a MIDI controller designed to fit your personal music-playing style. Meow Meow is a cute little development board created specifically do that, and to make it easy as possible. All modern operating systems support USB HIDs (human interface devices) like keyboards and mice. Creating a custom keyboard is as simple as emulating an HID with a microcontroller. You can do that with an Arduino, but that requires special configuration, and you need to deal with sensors and wiring. Meow Meow is an ARM Cortex-M0 board that dramatically simplifies the process by shipping pre-configured as a USB keyboard, and by providing easy-to-use capacitive touch inputs. There are 10 total capacitive inputs, and all you need to do is connect them to your “buttons” with regular alligator clip cables. Those buttons can be anything that is even slightly conductive. That could be a piece of fruit, paper with a button drawn on it in pencil, or just a piece of aluminum foil. 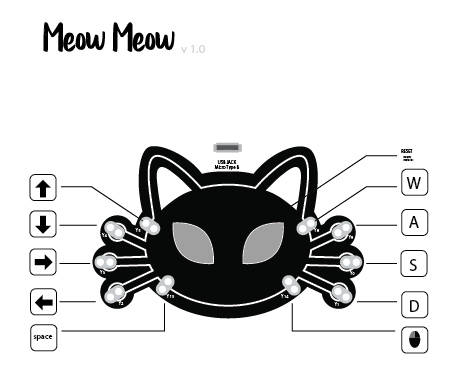 Meow Meow can be programmed with Microsoft MakeCode or the Arduino IDE, so you can setup your buttons to emulate any key you want — or even a mouse. 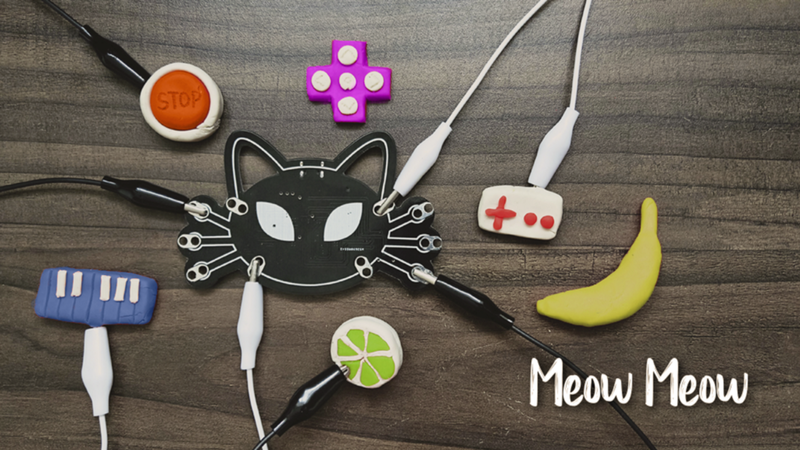 It’s easy enough that anyone can use Meow Meow to create their own custom controller. Meow Meow is currently on Kickstarter, and the campaign is running until October 2nd. Early birds can get a Meow Meow kit for MX$ 479 (about $25 USD). Rewards should ship in February 2019. 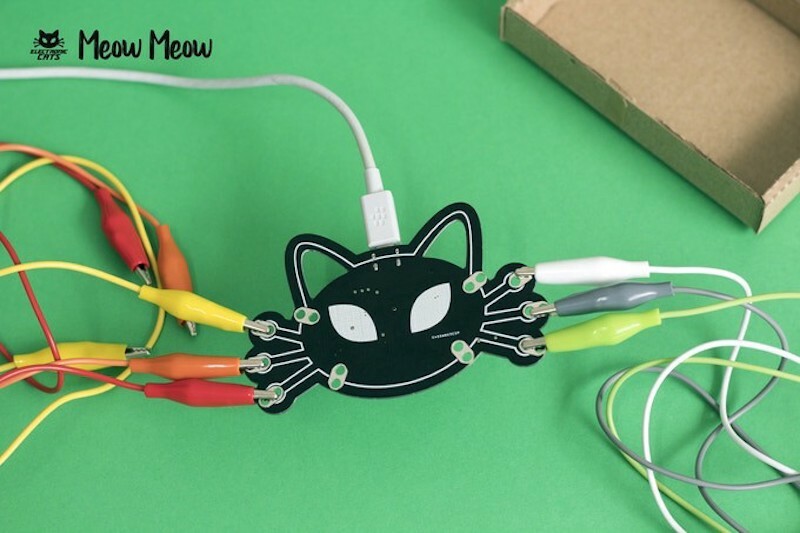 Meow Meow Is an Adorable Dev Board That Turns Anything Into a Keyboard was originally published in Hackster Blog on Medium, where people are continuing the conversation by highlighting and responding to this story.